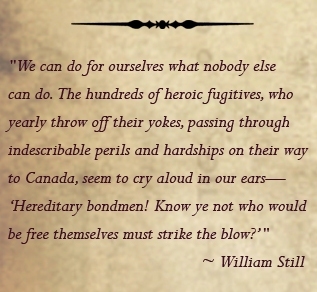 After the War of 1812, American officers who had been stationed near Fort Malden (Amherstburg, Ontario) carried back to the United States stories of a country where runaway slaves were welcome. As a result, great numbers of enslaved freedom seekers made their way to Amherstburg. 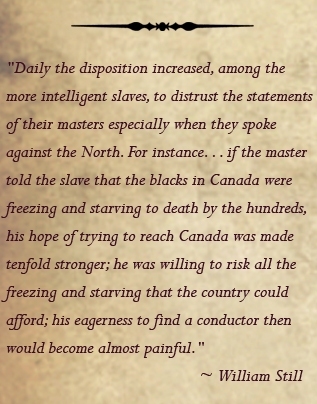 The famous abolitionist Levi Coffin, during a tour of Upper Canada in 1844, described Amherstburg as the principal terminal settlement in Canada of the Underground Railroad. Ferry, later to be called Windsor and Sandwich Township, also became the first sanctuary for many of the first, large wave of fugitives to Upper Canada between 1817 and 1822. Refugees trying to find farming land and creative and honest ways to make a living in this strange new land migrated to the various villages, townships, and towns of Essex and Kent County. They established terminal settlements in places like Anderdon, Marble Village, Union, Gambia, Haiti Village, Brion, Dawn, Elgin, Dresden, Shrewsbury, Puce, Elmstead, Little River, Gosfield, Gesto, Gilgal, New Canaan, the Matthew Settlement, Edgar, Mt. Pleasant, Rochester, Harrow, and the Refugee Home Society Settlement. This settlement is now part of the John Freeman Walls Historic Site and Underground Railroad Museum and is on land where my family and I reside today. This settlement was a place of hope for a better life, a common desire shared by Underground Railroad travelers in settlements throughout Canada. One of the most successful Canadian settlements is at Buxton. The Elgin Settlement, which includes the Buxton Mission, was founded by Reverend William King, a Presbyterian Minister. On the death of his father-in-law, King inherited 14 slaves; he added another and then came north and freed them all in Ohio. 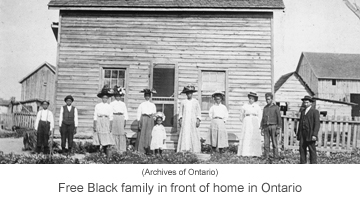 King was determined to set up a refuge for Blacks entering Canada. Despite the objections of Edwin Larwill, a White extremist, and other supporters, King started the Elgin Settlement with his 15 slaves from Ohio on November 28, 1849. The Elgin Association took care of secular business, and the Buxton Mission Fund supported by the Presbyterian Church took care of the community school, chapel, and Christian work. New settlers purchased 2,000 acre lots of the 360,000 acres of land in Raleigh Township. 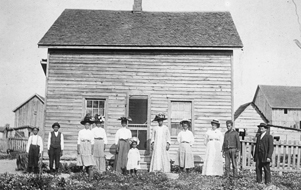 The spirit of the community was growing stronger and the settlers were eager to work for what they received. 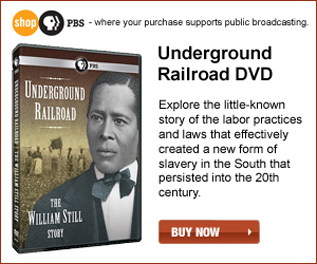 In 1850, a church and school building were built along with a post office. By 1853, there were 130 families. The settlers at Elgin placed a high value on education and their Buxton Mission School was better by far than the government schools. 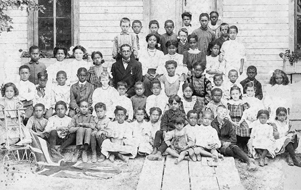 Prominent businessmen from Toronto and Buffalo sent their children to the school, and half of the students in the formerly Black school were White. All were attracted by the high quality of education. The students often taught their parents, as they too were eager to taste the added freedom that education can bring. As the settlement grew and prospered, the settlers overcame the opposition and prejudice of their White neighbours. Because of education and their vote, a friend of the Elgin settlers, Archibald McKellar, easily defeated the trouble-maker Larwill as Kent County’s Member of Parliament in 1856. Education, hard work, and creativity were key then as they are today to secure freedom from slavery. Modern-day enslavers such as drugs, hatred, poor self esteem, and violence are only a few of the threats that can take freedom away today.